That’s not something you often hear these days, but exactly what the owner of this Kawasaki Mule declared! 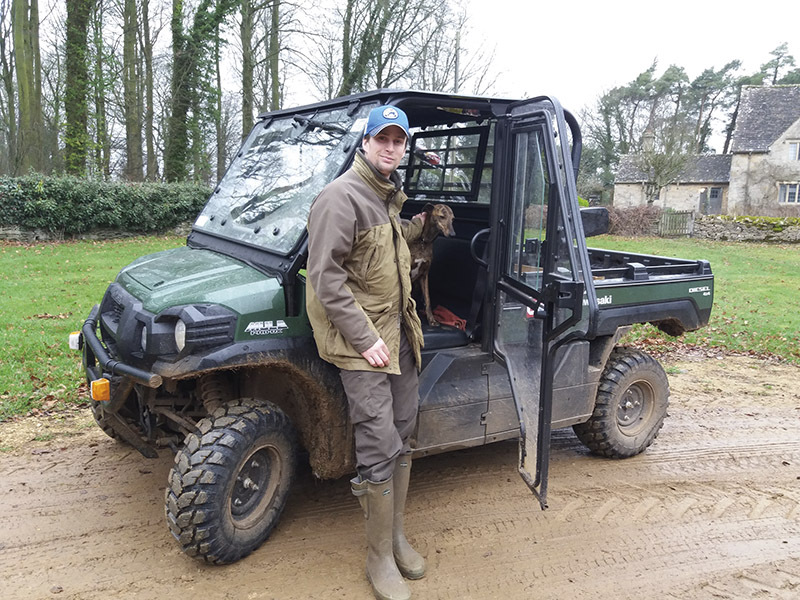 Following retirement from a career in National Hunt Racing, Ed Cookson returned to the Cotswolds last year to become a partner on the family farm near Bourton-on-the-Water. Some of the farm’s kit was getting old and after many years of owning an ATV, Ed decided that a UTV might be a more versatile replacement. He contacted Tim Rochfort at T H WHITE Toddington to arrange a demonstration of the Kawasaki diesel Mule Pro DX. He had already tried competing brands but found the Kawasaki Mule was better value and offered more space, both in the cab and in the rear bed. A deal was done! Ed and his team said they couldn’t be without it now. The Mule has become an essential piece of equipment for each working day, taking feed to the shoot hoppers, fencing work, moving jumps and towing – which he said it’s particularly good at. Best of all he loves the frugal nature of the powerful Yanmar engine and the quiet, warm cab which keeps everyone dry and happy, including his dog Bengal. Ed has just ordered and fitted a new Logic snowplough to the Mule… does he know something we don’t? If you are looking for the best purchase you could make do get in touch with our ATV/UTV specialists Tim Rochfort (07973 911934), or Simon Knight (07860 912763).